Write & Wrong: Writing Within Criminal Justice Student Workbook is a comprehensive workbook that guides students through the entire process of writing an academic-style paper, by teaching them how to conduct library research, how to take notes without plagiarizing, how to cite in proper APA style, and how to complete a final draft of a paper. The Student Workbook includes hands-on writing exercises and reference guides to further help improve the students’ writing skills. The Second Edition also helps students prepare for entering the job market, by discussing how to write a professional résumé and cover letter, how to prepare PowerPoint presentations, and how to write a variety of professional reports. The recently published second edition of Earth's Evolving Systems: The History of Planet Earth makes teaching and learning geology easier. It explores the complex processes and interactions that have shaped our planet. Employing a systems perspective, this introductory text covers topics such as the lithosphere, hydrosphere, atmosphere, and biosphere, and discusses how these systems, plate tectonics, and life have interacted with each other and evolved through geologic time. This approach to Earth’s history integrates the study of modern Earth systems with past ones piquing students’ interest in the process. No other text bridges the gap between traditional historical geology and the behavior of Earth systems, and does so with higher quality art and illustrations. Capturing the dynamism of our planet’s fascinating history, Earth’s Evolving Systems: The History of Planet Earth, Second Edition provides the bedrock to understanding this exciting science. In a world heavily influenced by popular forensic television dramas, the real-life duties and complexities involved in crime scene investigation are often misrepresented and misunderstood. An Introduction to Crime Scene Investigation, Third Edition is a comprehensive and accurate overview of the practical application of forensic science in crime scene investigation. The highly anticipated Third Edition of Understanding Viruses by Teri Shors of University of Wisconsin - Oshkosh will publish July 29th. Understanding Viruses continues to set the standard for the fundamentals of virology. This classic textbook combines molecular, clinical, and historical aspects of human viral diseases in a new stunning interior design featuring high quality art that will engage readers. 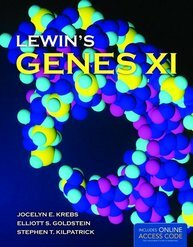 Preparing students for their careers, the Third Edition greatly expands on molecular virology and virus families. 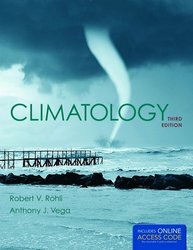 Review of Climatology, Third Edition: "it is the best text on the market for my course." In planning for a fourth edition of our comprehensive climatology text for the upper-level undergraduate or introductory-level graduate course, we conducted a revision survey with instructors who are currently or have very recently used the text in their course and instructors who have not adopted the current Third Edition.